Set between two of the highways that connect Washington and Baltimore and split between two counties, Calverton is a community that exists between two worlds. Even the community’s borders are hard to define since it hasn’t incorporated as a town. Nevertheless, the houses and the businesses on both sides of the county line have one thing in common: mold is an unwelcome guest in every building no matter where you look. While pest insects are big enough to spot with the naked eye, and while insects need to find a crack or hole before they can sneak into a home, mold is a different story. Mold spores are microscopic, and they’re so light they can float practically forever. Thanks to these facts, mold spores are also in your home already, and there’s nothing you can really do to change that fact. Fortunately, these spores are mostly harmless, but unfortunately they can sometimes become a problem. That’s why AA Action Waterproofing offers mold remediation for Calverton and communities like it. Mold is a very tenacious organism. Not only do its spores get everywhere, they can also last for years without any hint of food or water. Once a spore encounters both, it doesn’t take long for it to grow to full size and start releasing spores of its own. Mold also comes in thousands of different species, and between them they can survive on just about any organic material: food, organic cloth fibers, wood, and even the skin flakes in dust. “Remediation” may sound like a ten-dollar word for “removal” or “extermination,” but there’s a reason why those in the industry use it instead of its more understandable cousins. “Remediation” means “to remedy” something, to bring something back to its normal state. 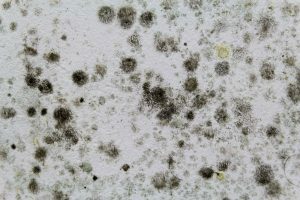 This is more accurate than “removal” or “extermination” because it’s impossible for anyone to get rid of all the mold spores, but it’s definitely possible to bring the spore count down to the usual background level with a mold remediation in Calverton or anywhere else in the Washington-Baltimore area. So if mold and mold spores are inevitable, why bother cleaning it up with a professional mold remediation in Calverton or anywhere else? Beyond the unsightly growths and unpleasant, musty odor, there are two important reasons to remediate. First, the species group known as black mold releases airborne toxins that are harmful to humans. The effects don’t go beyond cold-like symptoms like a runny nose, coughing fits, sneezing, fatigue, and headaches, so black mold is only rarely life-threatening, but no one wants to suffer through an allergy that persists for as long as they’re at home. The second reason to remediate is to preserve your home’s integrity. Mold doesn’t work quickly, especially compared to termites and carpenter ants, but it does slowly infiltrate and weaken the material it’s attached to, even if that happens to be concrete. In fact, the fungus that causes dry rot is a close relative of mold. Why Come To The Professionals? In many cases, mold remediation in Calverton and elsewhere is something a homeowner can handle on his or her own. Just get a bottle of anti-mold cleaner, a tough sponge, and possibly a facemask depending on how thick the mold colonies are, and start cleaning. You might not even need to go that far depending on how often you clean up your basement or crawlspace and whether you regularly check for cracks in the basement walls and leaky pipes. However, if mold seems to reappear too quickly after you clean it up, or if you have a serious leak or flood damage that causes a mold outbreak, you can count on AA Action Waterproofing to help. We’ve been providing mold remediation in Calverton along with waterproofing and basement repair throughout Maryland and beyond, and we have the skills and the tools it takes to fix mold outbreaks of any size and scope. Best of all, our first inspection is free and comes with a written estimate, so you won’t pay a thing if it turns out all you need is a dehumidifier and the right cleaning fluid. So whether you live in Calverton or far off in Philadelphia or Wilmington, contact us today and we’ll set up an inspection with you as soon as we can.